music – Feed The Ears!! Welp. I’m back again. Here’s a new podcast for a new year. A mix of old, new, odd, and wonderful. It’s my favorite cosmic slop. No coffee necessary. Just hit play. So here I am sharing with you. I’m trying to get into the groove again, so it’s going to take some time. But these songs help me get through the day. I hope they do the same for you. It’s that time of year again. Seems like yesterday 2017 began and now it’s over. So that means I’m going to share my favorite 30 albums of the year. I’m not going to call them the “best” but these 30 albums were on rotation for a period of time this year on my ipod. I enjoyed them all. They helped me stay sane, awake, and got me through the day when I felt like the world was just setting up shop on my shoulders, never to leave. There was a lot of fluff this year though. I will not share that with you. Some music left me scratching my head and thinking, “Really? People LIKE this?” But that’s for another discussion. If you follow me on twitter, you might have seen random one liner tweets about bands or singers that caught my ear and held onto my attention. If you haven’t listened to anyone on this list, and you want to broaden your mind, check them out. Don’t close off your mind to new music. There are plenty of diamonds in the rough. I would also be remised if I didn’t give a huge shout out to all the ladies who made some great music this year. I truly got a kick out of going back and seeing how many albums on my hard drive and ipod I had that were made by ladies, young and old. To quote Annie Lennox, “Sisters are doing it for themselves.” Whether the songs were about love, or injustice, or family issues, the voices of women made a huge impact this year. And I hope for years to come. So, here is the list. Happy New Year One and All..
27. Beware of Darkness – Are You Real? For two reasons: I love the drum track behind it, and the carefree dancing. I also will throw in a special honorary mention of seeing Julian Casablancas from The Strokes eating in a diner. I had to do a double take. I’ve said there seems to be a lack of true r&b and soul music in this day and age. 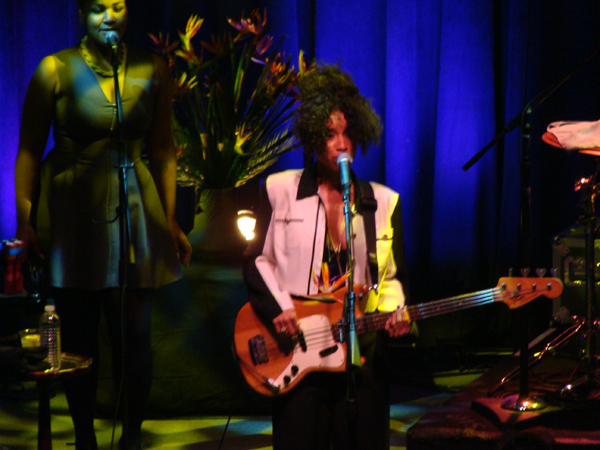 But there is one artist that disputes my theory – Lianne La Havas. I had the pleasure of seeing her live at the 9:30 Club in Washington, D.C. She’s a London born talent, with more talent in her little finger than many of the pop stars who call themselves singers today. 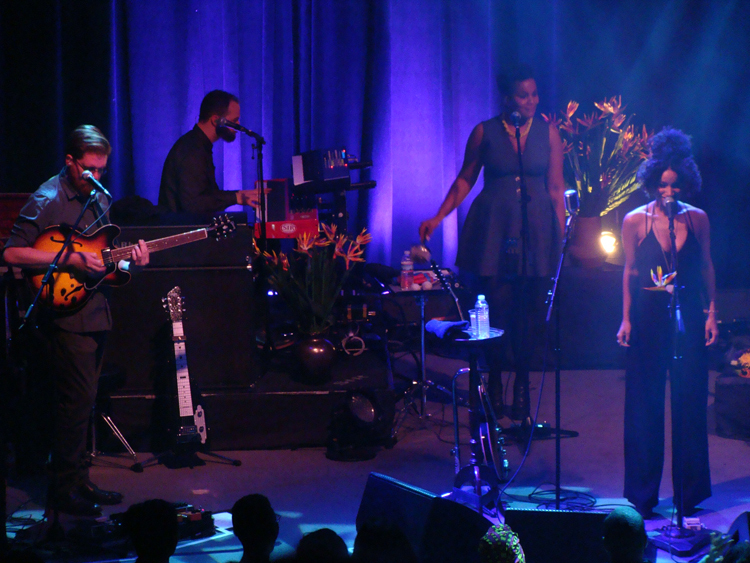 She put on a perfectly smooth show, making quick and easy transitions from song to song. She’s on tour to promote her new album, “Blood.” She performed songs from that album, as well as her debut album, “Is Your Love Big Enough?” She’s a guitarist, an arranger, a songwriter, and quite the vocalist. She combines soul and a little bit of folk and thew in a LOT of her heart to make for a beautiful show hour plus show. Here is a clip of one of my favorite songs, Au Cinema. I suggest you listen to her two albums, and catch her while you can. You won’t be disappointed. Standouts include, “Unstoppable,” “Au Cinema,” “IYLBE,” “Forget,” and “What You Don’t Do.” Her voice is heaven. Her presence is commanding. It was a beautiful night, full of beautiful music. Just wanted to tip my fellow earbudders on a young singer named Bea Miller. 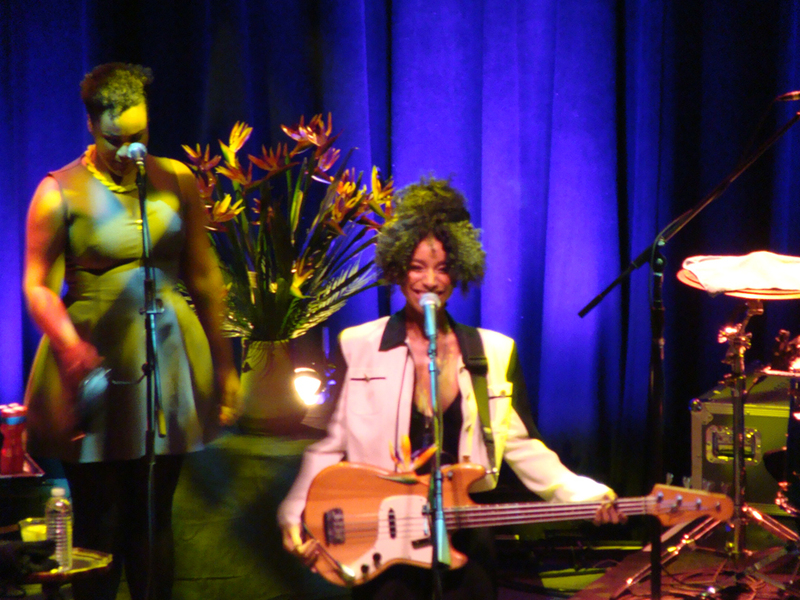 Every few years, there is a female singer that strikes the heart of young folks and older folks like myself. Bea Miller is that singer at the present moment. With her heartfelt lyrics about fitting in, standing up for yourself, growing up, and taking life as it comes, her album, “Not an Apology” is just that – not an apology for who she is. In a time where females are expected to be perfect with no flaws, Miller takes her flaws and wears them like a badge of honor. She is open about her fears, her loves and securities. It takes guts to put feelings into a song for those to accept or reject. But she is a delight in taking that risk. She calls people out for how she was treated (Paper Doll), dares people to change (I Dare You), and just plain rocks out with no regrets (title track), and takes charge of her actions (We’re Taking Over). I think it’s pretty much pop gold for the summer. If you have never heard of her, I suggest you go and listen to her. You won’t be disappointed. As pop gooeyness as this album is, “Young Blood,” the opening track, is my particular favorite. “But in dark times when we close our eyes, it’s a nightmare, it’s a nightmare. When the sun don’t shine we lose our minds but I swear we can get there.” That’s my favorite verse. I believe, and I could be wrong, that she’s trying to convey the idea of doing things for ourselves despite the trials. We can run away from our troubles, but we eventually have to go against them head on and we WILL overcome them all because we’re young and strong. We can’t be destroyed. Wear the strength well and use it to your advantage. Nothing is perfect, but we can try and trying to overcome is betting than nothing. Don’t give up, and don’t back down. It’s a great song and a great attitude to have. So cheers to Bea Miller for helping people get through life, and helping us realize we’re not alone. There are many of us, of various ages, trying to make it through life one day at a time. And no we’re not apologizing for it. She’s so young, but with an old soul. And that, my fellow earbudders, is my review of the moment. Oh My How Brandon’s Flowers Have Bloomed. I’m always wary when a lead singer of a band releases solo music. Chances are, it’s a cosmic slop of tunes that didn’t make previous albums with the band, mixed with potential radio songs. Sometimes it works, sometimes it doesn’t. 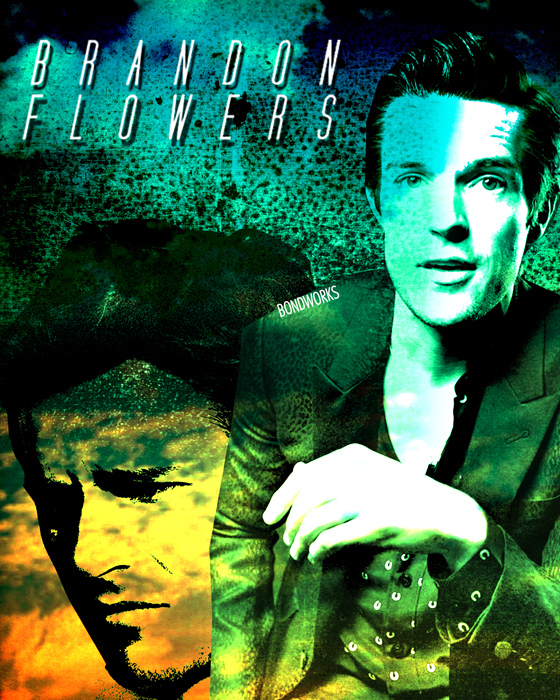 Brandon Flowers’ second solo release (yes, he did release a first one a few years back – Flamingo – you should check it out) works. I don’t know if you’ve noticed my fellow earbudders, the onslaught in the past year or so of an 80s sound revival that has returned to the music scene. As someone who was around this sound the first time, my ears are relieved. Flowers’ music clearly shows he was influenced by it as well. This album sounds like a throwback of Howard Jones, Culture Club, mixed in with interesting storytelling that rivals something from the vault of Bruce Springsteen’s lyrics. Flowers was always a good storyteller in his music. He makes you think, he makes you dream, and he makes you realize – no matter what – life goes on whether or not your life turned out the way you wanted it to. Combine his lyrics with a synthesizer, big band extravaganza, and you’ve got a winner of an album. The sound of keyboards with strong background female singers, and an excellent horn section should not be overlooked as well. There are a few songs that sound like outtakes from The Killers, but overall, it is worth the investment in time to listen. It’s got something for everyone. Here are a few of my favorites. Dreams Come True – Great opener; A very positive ditty about a collection of outsiders who want something better in life other than coming home, working, going to sleep, punch the clock – wash rinse, repeat.. I’m sure we all feel the same way. Can’t Deny My Love – First standout. The first in a series of 80s throwback songs. This really sounds like a departure from what we’re used to hearing from him when with The Killers. Has a Carribean Queen sound with a repeated but quick guitar riff. I Can Change – Strong harmonies on this one. Another dance tune that could’ve easily been released in the 80s. Simply put, he’s willing to change for the object of his affection and he’s fine with it. Still Want You – The chorus sounds like it could be a member of chant city. Loud chants, Kinda corny sounding, but it works. Only thing missing? A tambourine. Between Me and You – I call this Bruce Springsteen light with Peter Gabriel thrown in for effect. It’s pretty, it’s poetic, it’s sappy, romantic, and I’m sure it will get a singalong from the audience when performed live. Untangled Love – If you loved The Cure, you’ll love this one. Desired Effect – The title track is another track that sounds like it could’ve been on a The Killers album. Funny enough, this is the title track. “Are you taking the time to listen, is it doing you any good? Are you looking to change the world? Have you already changed your mind?” Questions like this continue on throughout the song. He’s questioning the lives people lead, and the effect that their lives have on them. Is it what they wanted? Or is it something completely different? And if it’s not what they wanted, what are they going to do about it? it’s kind of a head-shrinky song. It definitely left me with wondering what good am I on this earth? And is the life I chose worth it after all? Where was this song when I was in college? Overall, it’s a solid album. check it out if you want, or not. It’s up to you.